The fall stock slump deepens. Stocks around the world slid Tuesday, following a sharp decline in U.S. stocks that was accompanied by a retreat from risk across markets. Bitcoin prices crashed below $5,000 and Google parent Alphabet closed in on bear market territory. Apple flirts with a bear market. The world’s most-valuable public company saw its stock dip nearly 20% below its Oct. 3 peak as the iPhone maker is on track for its worst month in over a decade. France moves to fill Renault power vacuum. The French finance minister has asked Renault to install interim leadership immediately, following the arrest of CEO Carlos Ghosn on allegations of financial misconduct at Nissan, the company’s Japanese partner. The allegations call into question the future of the alliance between Nissan, Renault and Mitsubishi. Several retailers will report earnings today. Target, Lowe's, Best Buy, Barnes & Noble and TJX Companies will post their numbers before the bell as the holiday shopping season heats up. Mitch McConnell controls the fate of a criminal-justice overhaul bill. With just two more weeks remaining in the lame-duck Senate’s session, the Republican majority leader won't commit to holding a vote on the measure backed by both bipartisan sponsors and President Trump. Desperate Venezuelans dig up paradise in search of gold. 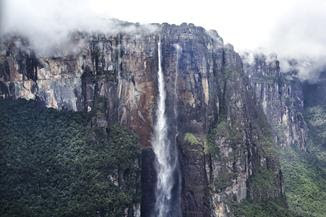 The indigenous Pemon people have long served as stewards of the national park that holds the world’s highest waterfall. Now Venezuela’s economic distress has pushed them into digging for gold in vast open-pit mines. Beto O'Rourke may not have won in Texas. But he did help fuel a blue landslide in Houston that saw nearly every Republican in Harris County unseated, including 59 judges and the top executive who won in 2014 with 83% of the vote. Amazon employees join the rush to buy Long Island City condos. Real-estate brokers in the neighborhood are seeing a sharp uptick in interest and deals. U.S. slashes migrant border crossings. 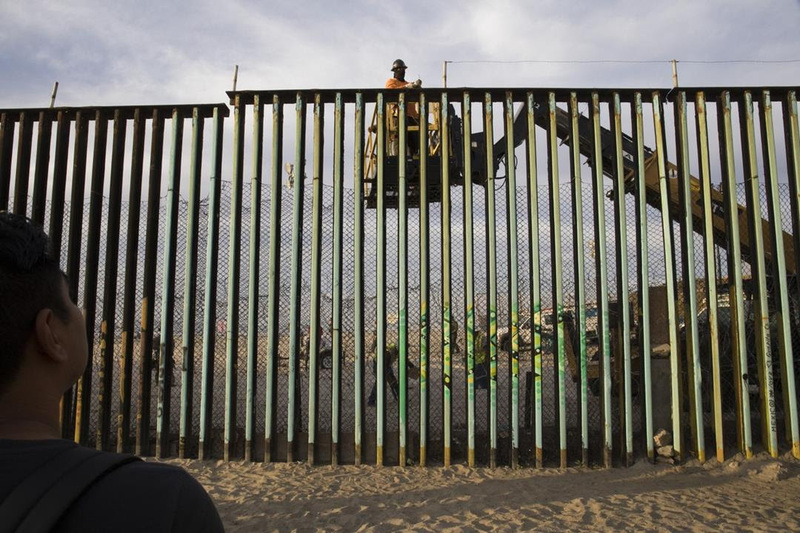 Following through with the president's threats to "harden" the border, the Trump administration has slashed the number of migrants being allowed to cross the U.S.-Mexican border to legally apply for asylum. A federal judge has issued a temporary restraining order on enforcing the crackdown. The U.S. and China are locked in a battle for tech supremacy. One Silicon Valley company is arming both sides. Nvidia, which sells artificial-intelligence chips to China, is walking a high wire as the company tries to navigate political and trade tensions between the two countries. Nancy Pelosi works to quell dissent. A group of 16 Democrats said they would vote against Ms. Pelosi for House speaker, saying it is time for the caucus to select a new leader as it retakes the majority. The party will select their candidate for the leadership post the week after Thanksgiving. The White House restored full access to Jim Acosta. 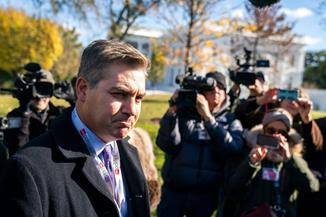 After renewing efforts to continue excluding Mr. Acosta from the building's grounds, the White House restored full press access to the CNN correspondent. A GE veteran is returning to the company's troubled power unit. John Rice, one of Jeff Immelt's top lieutenants who spent four decades at GE, will help oversee a restructuring of the company's gas and power business and provide some stability for anxious customers. Vanguard is ratcheting up the index-fund price battle. The indexing giant announced it will lower the minimum amounts customers need to invest to get cheaper prices on more than three dozen of its funds. 27 more rules for Thanksgiving touch football. How many snaps will Mom and Dad play? Who will fall asleep watching the Lions? 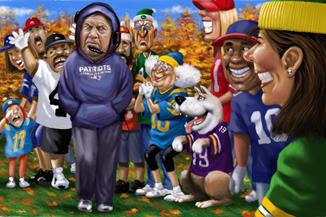 Why is Bill Belichick standing on your sideline? The Journal's Jason Gay has the answers. U.S.-China trade truce prospects aren't looking good. The latest: an Asia-Pacific Economic Cooperation summit ended in acrimony Sunday with a fight over Chinese trade practices. For the first time in APEC’s history, officials ended meetings without issuing a communiqué, underscoring deep divisions ahead of a meeting between President Trump and Chinese President Xi Jinping in less than two weeks. When Presidents Trump and Xi finally meet, the best outcome might be a kind of ceasefire in the trade battle, with the U.S. refraining from increasing tariffs. Officials within the Trump administration, however, remain bitterly divided. Treasury Secretary Steven Mnuchin has reached out to counterparts for talks, while U.S. Trade Representative Robert Lighthizer argues that the country needs to continue with tariffs to get necessary concessions. Despite, or perhaps because of, trade ructions, imports into U.S. seaports are surging over usual seasonal patterns. Retailers and manufacturers are pulling orders forward ahead of a new round of tariffs set to hit U.S.-China trade in January. Ports in Southern California, Georgia and Virginia reported double-digit growth in import volume from September to October. International companies in the U.S. say potential tariffs on automobile and auto-parts imports would be the most damaging of the Trump administration’s trade actions, surpassing the tariffs that have been imposed between the U.S. and China, and the global levies on steel and aluminum. Chief financial officers told the Organization for International Investment that the auto tariffs—if implemented—would nearly cancel out all the positive impact of the administration’s 2017 tax overhaul. Want more on trade? Sign up to get our daily Real Time Economics newsletter delivered to your inbox for the latest insight and analysis. The outlook for traditional TV has gone from bad to worse. 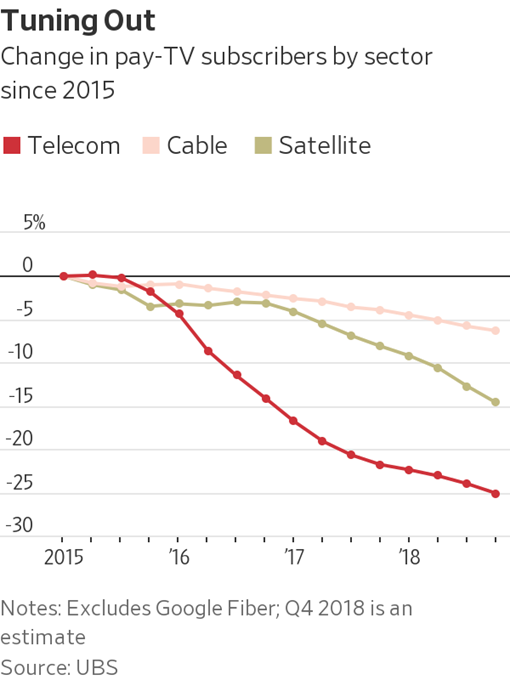 More than 1 million consumers canceled their cable-TV or satellite subscriptions in the past quarter, one of the largest seasonal drops ever. That is ramping up pressure on pay-TV providers to seek other sources of revenue, such as streaming services and partnerships with digital video startups. Ivanka Trump used her personal email for government business. President Trump’s daughter sent hundreds of emails last year to White House aides, cabinet officials and her assistants from a personal account, many of them in violation of federal records rules. Uber returns to Germany on best behavior. Dusseldorf is the start of an effort by the ride-hailing company to reboot its business in Germany ahead of a planned initial public offering next year. France pushes for extra Brexit demands. The country is leading a push for uncompromising European Union declarations to accompany any deal on the U.K. leaving the bloc, which could further complicate the British prime minister’s bid to win her parliament’s backing for the agreement. 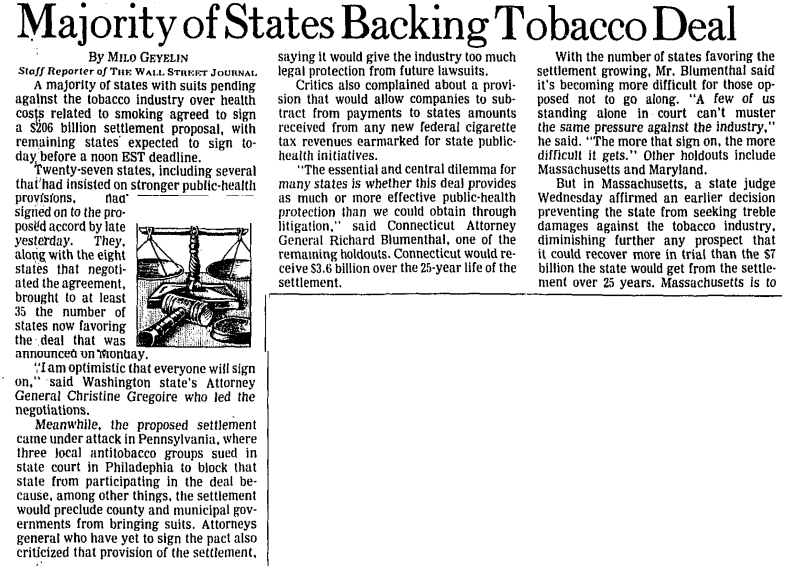 The attorneys general of 46 U.S. states entered the $206 billion Tobacco Master Settlement Agreement, originally with the four largest tobacco companies in the country. The agreement called for the companies to curtail or cease marketing practices, such as billboards, as well as to pay various annual payments to the states for the medical costs of caring for persons with smoking-related illnesses. The settlement also dissolved tobacco industry groups, and the money was used to fund the anti-smoking advocacy group, Truth Initiative. —Compiled and edited by Phil Nobile in New York and Katy Barnato in London.